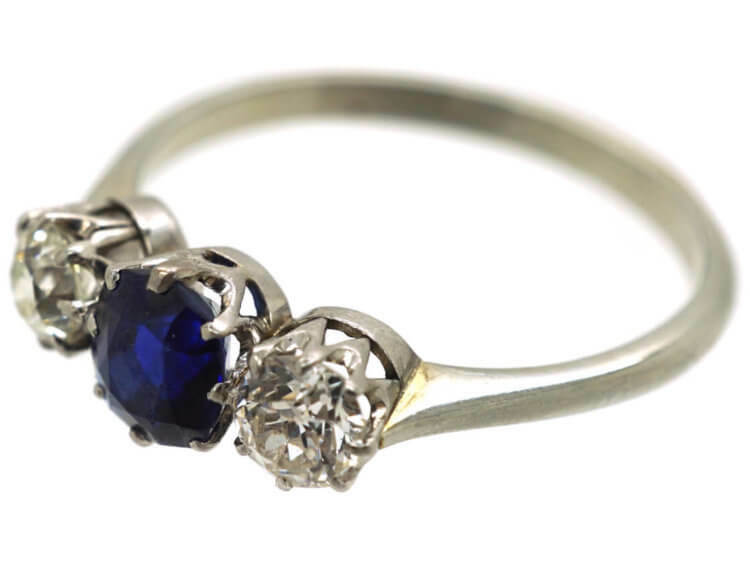 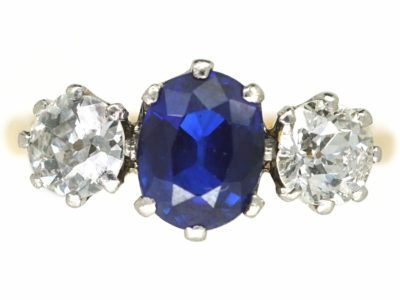 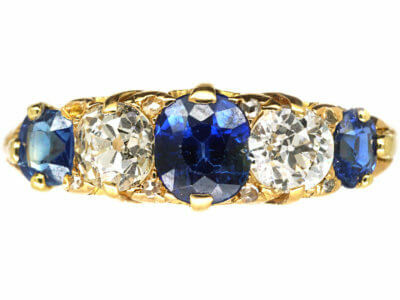 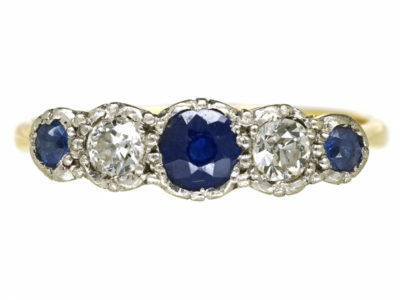 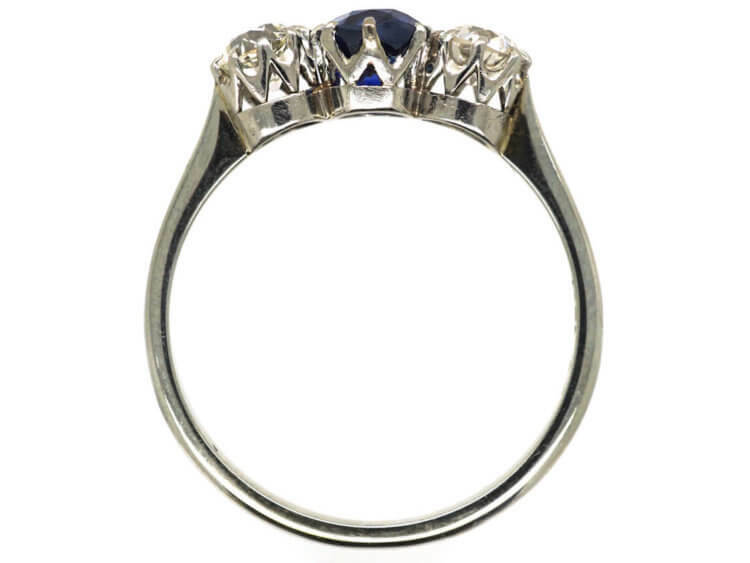 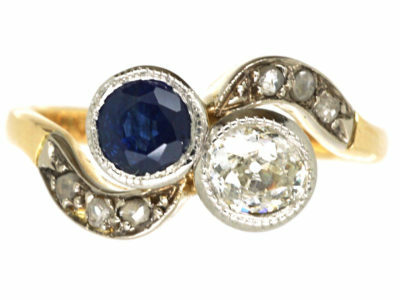 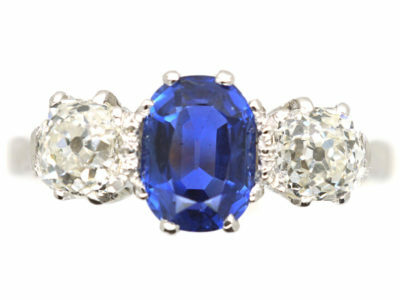 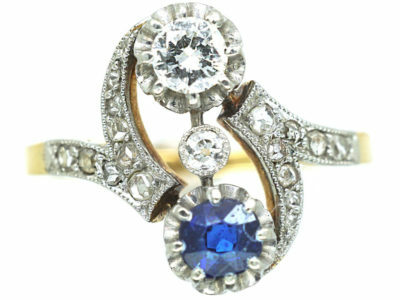 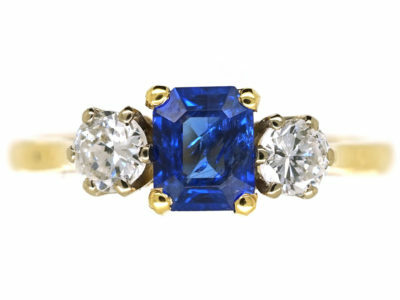 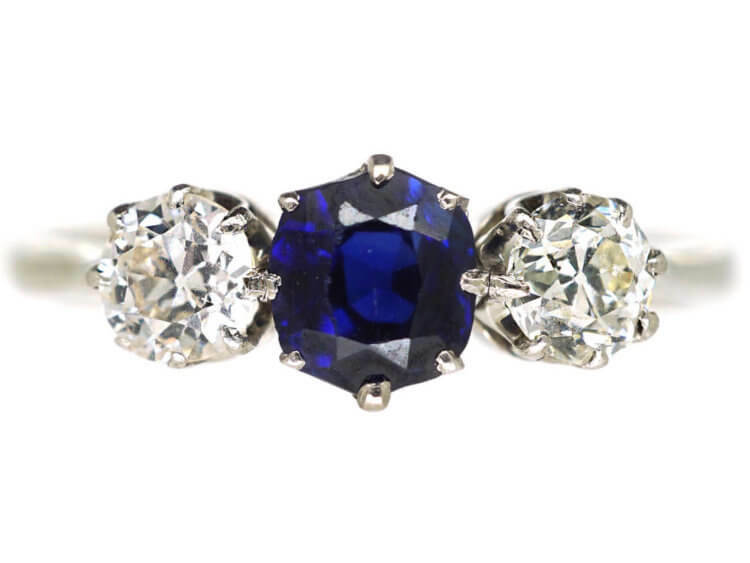 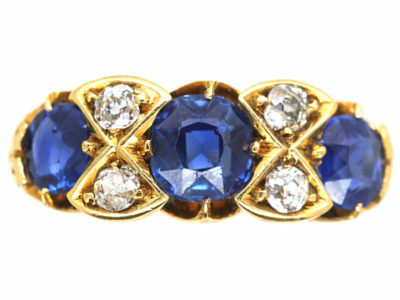 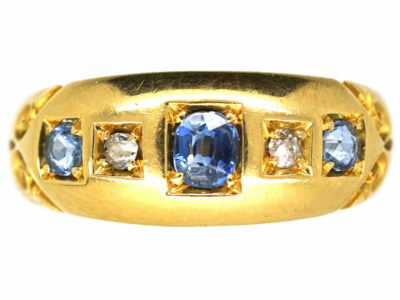 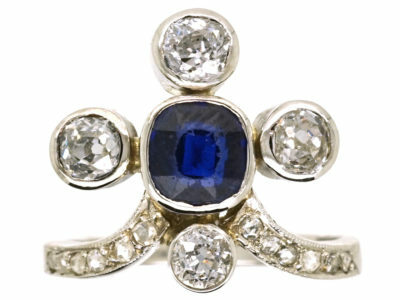 A classic three stone ring set with a central mid blue natural sapphire with a good white diamonds on either side. 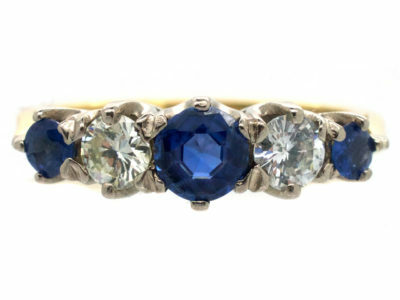 It was made in the 1930s and sits low on the finger. 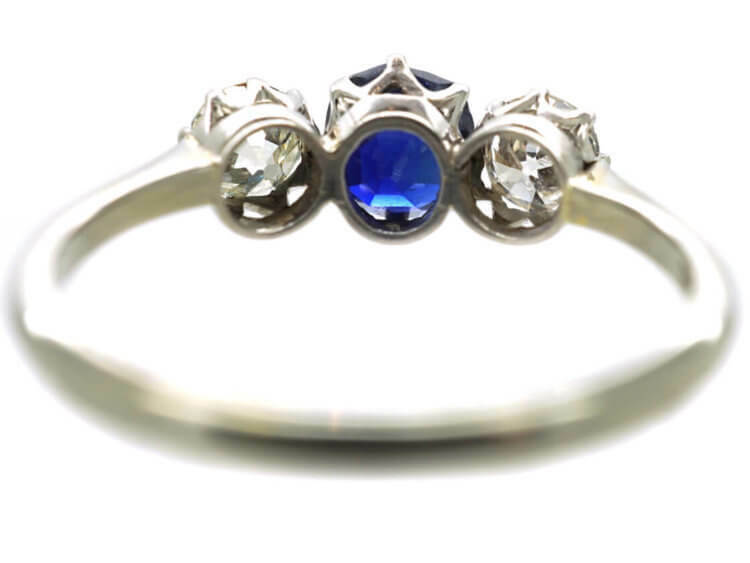 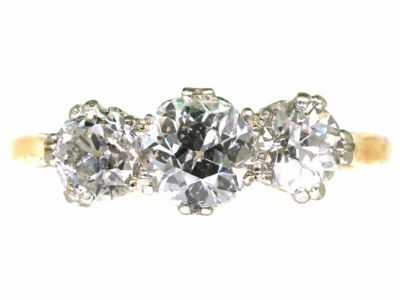 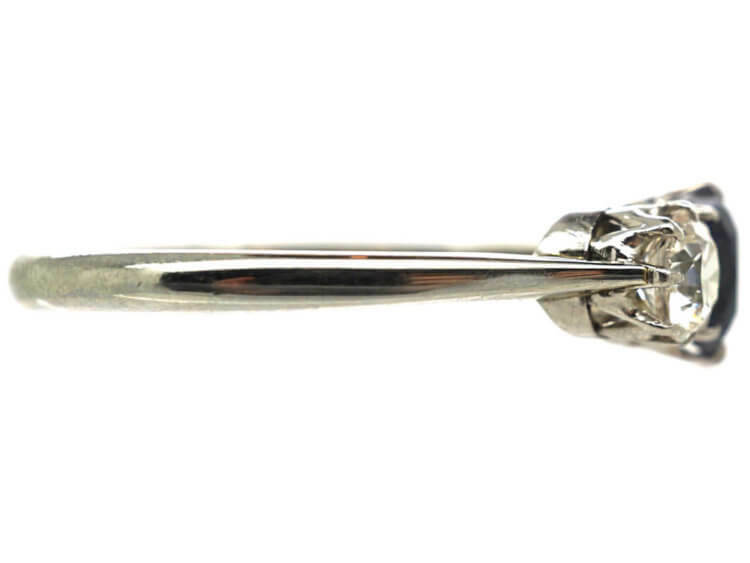 It would be lovely as an engagement ring.